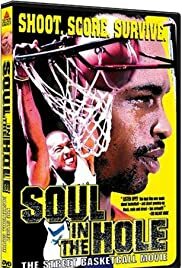 The life trials and tribulations of a group of young athletic men that struggle through everyday life supporting one another on the rough streets of a Brooklyn neighborhood, using basketball as their way out of a possible life of poverty. Very good film. I thought it wasn't a film, but a documentary/film because the characters seemed to be real people. Is this a fictional movie or not? It's about basketball, the streets, lousy upbringings, and the pressures of success. If you are a kung fu film fan, you probably have seen this film advertised on Arena video tapes in the previews and coming attractions.